Trailed Turntable Round Bale Wrapper. Able to handle round bales up to 1200 kgs. 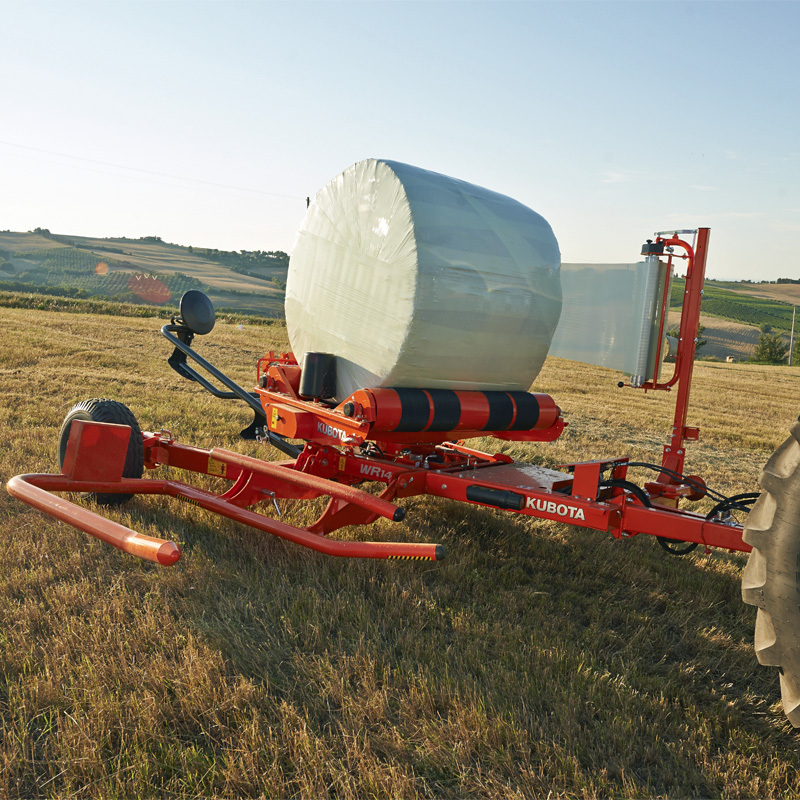 Kubota WR 1400 M is cable controlled and fitted as standard with a bale and wrap counter with AutoStop function. 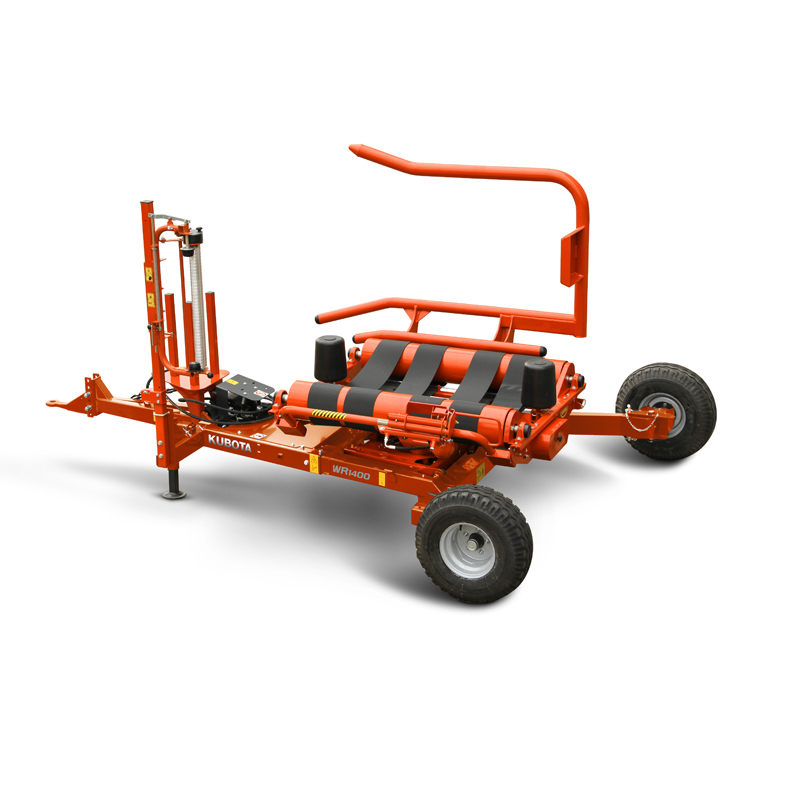 Kubota WR 1400 J is a joystick controlled version, with semi-automatic operation.